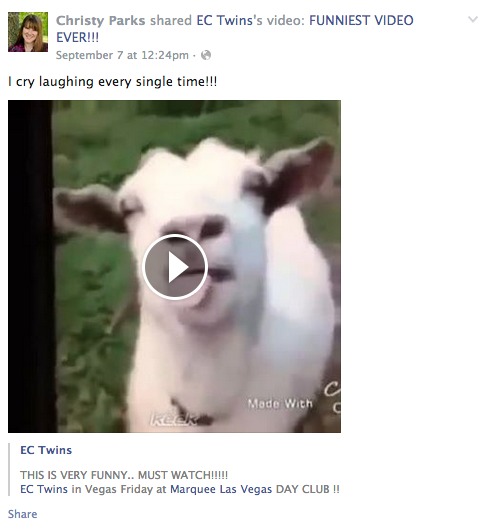 Author CL Parks posted a racist joke video on her Facebook account (Christy Parks) on September 7th. The video compares an Arab man to a goat. Blogger @has_bookpushers, of The Book Pushers blog (http://www.thebookpushers.com/), tweeted about the post today (Sept 9th) calling it out as racist. 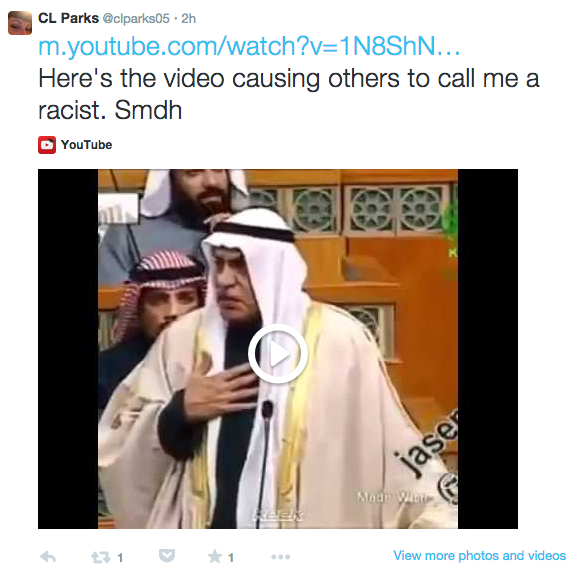 Parks responded with of tweets by the author claiming the video was a joke and not racist. To back up her claims she tweeted an image of journalist James Foley being beheaded. 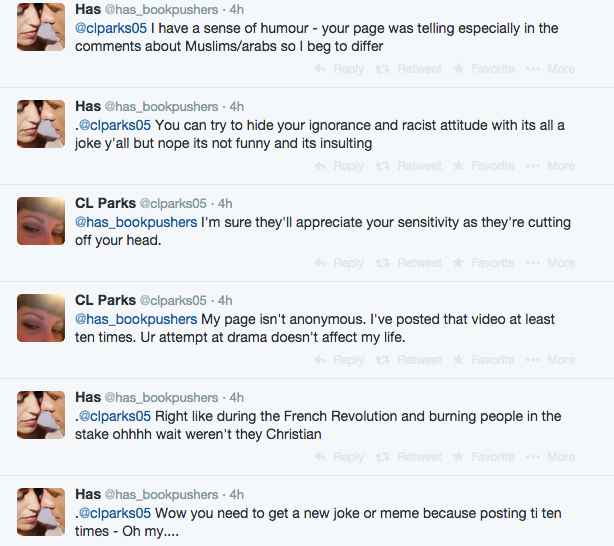 She also posted the video on her Twitter to demonstrate that @has_bookpushers claims it is racist were false. Parks also claimed that she was morning someone lost in the attack on the World Trade Center on September 11th, 2001. 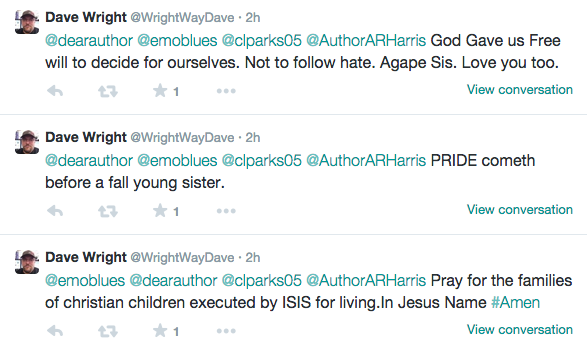 Her husband and a few other accounts joined in the tweet attack against @has_bookpushers and her other supporters. Parks also posted on her Facebook about being "attacked" on Twitter over the video and invited her followers to join the conversation. For her antics, Parks has been blacklisted by @dearauthor.